Save the carving for Thanksgiving, and treat your décor to a trio of “forever” pumpkins you’ll enjoy every year! 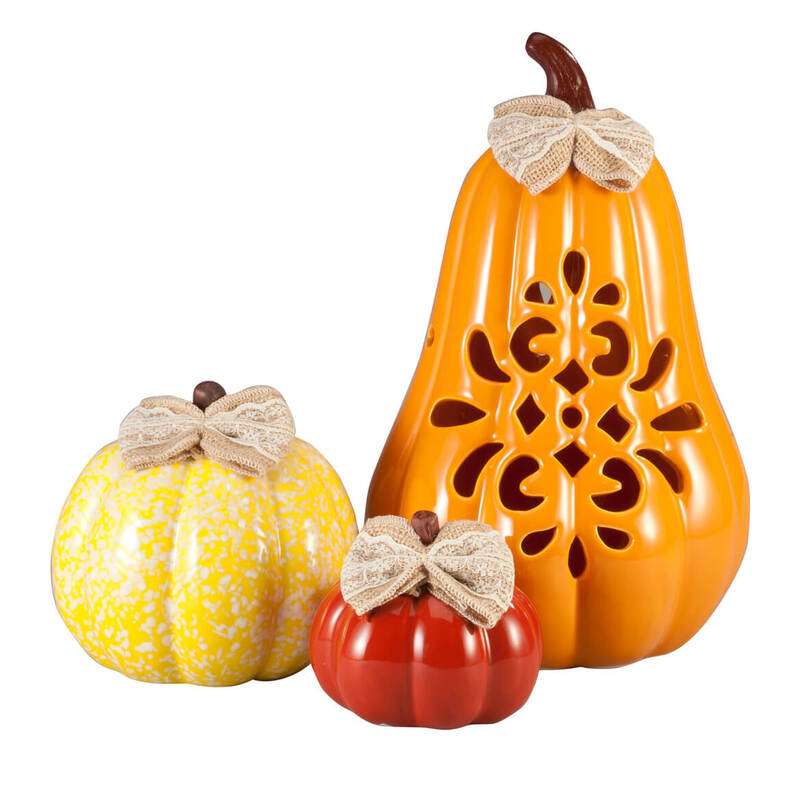 Offering endless decorating options displayed together or separately, this set of small, medium & large ceramic pumpkins lend a pop of color and artful charm to any home. Crafted of 100% ceramic, the small pumpkin (4″ wide x 4″ high) features a burnt orange glaze; medium (5 1/2″ wide x 5 1/4″ high) boasts yellow glaze with pretty white speckles; large features orange glaze (7″ wide x 11 1/2″ high). All 3 ceramic decorations are topped with a brown glazed stem and cute autumn bow made of burlap and lace. For indoor use. Set of 3 fall decorations.